Business-to-business (B2B) payment acceptance doesn’t have to be as costly, complicated or time-consuming as you think. It’s simply a matter of partnering with the right business. So what exactly is the right program? It’s Level 3 Processing. Credit card networks (Visa and Mastercard) give the lowest rates to companies that provide additional line-item detail on certain business and corporate card transactions. This additional information is passed to the card networks, and, in turn, companies are rewarded with reduced interchange rates. Furthermore, the higher the transaction, the larger the savings. Learn more about Level 3 Processing. The right solution actually simplifies the whole payment acceptance process. 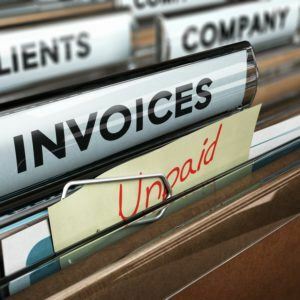 By implementing certain solutions, like mobile processing or software integration (integrating your payment processing solution with your accounting or ERP software, for example), day-to-day business operations become more efficient. For example, one of Brian’s accounts used to key enter every transaction on a terminal and it was a major headache for them. So Brian transitioned the company to a solution that allows them to store a customer’s profile in the system. Now, they simply click from a drop-down, select the customer, enter the transaction amount and it’s done. “When that information is saved, it’s truncated – so that’s the first and last time the merchant will ever see that card number,” Brian explains. The information is tokenized, encrypted and PCI-compliant. Learn more about various card acceptance solutions. B2B transactions are typically larger amounts so businesses want peace of mind. They want to know that once they hit “process”, the money will quickly and securely land in their account. Your payment processor should advocate on your company’s behalf – and that includes offering the support and education you need. That’s something Brian takes pride in. “When I get a merchant on board, I emphasize the fact that I won’t give them a 1-800 number and say, ‘Good luck.’” I tell them they should call or email me directly and I’ll answer any questions that may arise or I’ll iron out any issues that may come up,” Brian says. Contact Infintech online or call 1-800-621-8931.